Genus is delighted to report on a successful project recently undertaken by the UK Border Agency at its Landing Card Unit (LCU), based in Croydon. Involving production digitisation hardware from both document capture and micrographic sectors, the project has seen a dramatic improvement in the operational efficiency of the unit. 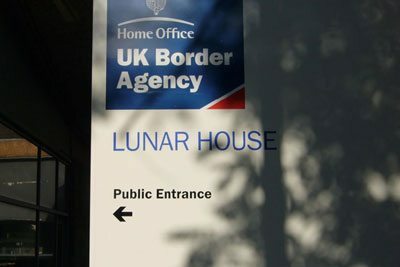 With the UK Border Agency’s current transition to the Home Office (HO) – the LCU’s processes are linked directly to, and play a key part in, delivering the HO’s priorities on control, quality and cost. The unit receives approximately 350-400 requests per week for copies of landing cards from key stakeholders, including ports and police forces. Historically landing cards had been filmed and stored in microfilm cartridges for retrieval but retrieval itself was time-consuming and reliant on aging equipment which produced poor quality output and required frequent maintenance intervention. This provided huge unseen costs in the management of the 25 million historic data cards. More recent landing cards were captured digitally on a document scanner, but this was ill-equipped for the scanning of the challenging landing cards, which are heavily textured and of industrial weight and would frequently jam or misfeed, creating downtime and inefficiency. Having recently obtained the contract for the on-site maintenance of the unit’s document management equipment, Genus was consulted by the LCU on options to develop their digitisation strategy. Having wide experience of supply and integration of both microfilm and document scanners, Genus was able to provide a complete solution to replace and improve on the existing processes. It focused on the implementation of two key pieces of high volume-production hardware. The InoTec 4×3 Series is perfect for the digitization of high-volume and challenging materials such as the LCU cards and documents. Its glassless paper transport system, incredibly forgiving document feed system and unique belt transport system ensures downtime to misfeeds; jams and non-existent and LCU is able optimize its scanning output. The LCU staff have already reduced the backlog of landing cards to process to zero. With over 25 million images on microfilm, a digitization unit capable of high-volume capture was required and Genus recommended the latest in high-volume production microfilm capture technology from Wicks and Wilson, for whom it distributes in the UK. A proof of concept trial on the 8850 Scanstation soon showed the superb imaging results and digitisation speed of which the unit is capable and convinced the Border Agency to invest in the unit. The Nvidia GPU powered imaging software proved particularly adept at automated scanning of even the most challenging images on microfilm. Once Genus had installed the 8850, the LCU team immediately set to work in digitising the historic data and have already completed the digitisation of the 25m images, a superb achievement with far-reaching benefits. Genus would like to thank Michael Walker, Lourdes Leitao and Danielle Killick for their assistance and input into this project.